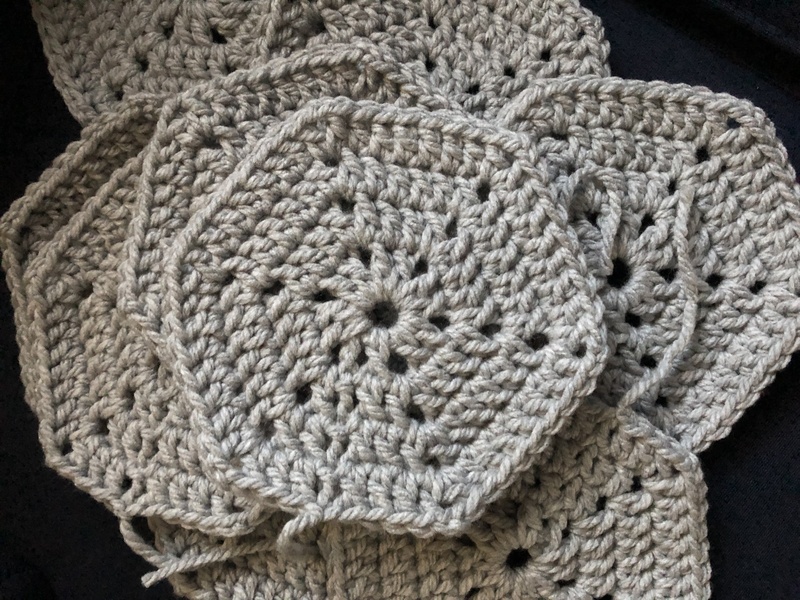 I have been crocheting for quite a few years now and I still get stumped when it comes to certain stitches and I’ll admit that I will avoid certain patterns if it includes an unfamiliar stitch. Like those FPDC that I see sometimes, which simply stands for Front Post Double Crochet. HUH? I just pass those over. Eventually I will break down and try it, but, for now, I will stick to simple stitches that still create beautiful pieces. I am more apt to try these different stitches when it comes to knitting. Which is kind of a little backwards since with knitting if you mess up it is a bit more complicated to remove all the loops from the needles to rip out the yarn from the “bad” part of the pattern and then reinserting the needles once again. With crocheting you simply remove the one loop from your hook, pull the yarn and then reinsert the one loop back on to your crochet hook. Maybe I just like to do things the hard way. Although, some will argue that knitting is the easier of the two because it involves only two stitches, knit and purl, whereas crochet has more. For example that FPDC I mentioned before, as well, SC (single crochet), dc (double crochet), hdc (half-double crochet) and so forth. I recently came across a pattern that I wanted to make that I am a bit off season for now. Well, a season late you can say. It’s a Christmas Tree Skirt. I have been wanting to make one for a while, but, I just didn’t care for the patterns I saw. And then, right before the holidays I found one that I thought would be perfect. It was a bunch of hexagons stitched together to form the skirt. I figured hexagons I could handle, although the stitching them together not so much. It’s not that I can’t handle it, but, if you read my A New Year post you will know that I still have a shrug I made over three years ago that I haven’t stitched together. I’m a procraftinator who doesn’t like stitching things together. But, I figured if I start now I have a solid 9-10 months to get it done. And then I started and instantly ran into problems. I’ve crocheted shapes before so I was fine with that, but, the starting point was to create a Magic Ring and that’s where I hit a major hiccup. I watched tutorials online and finally thought I had gotten it, but, it just didn’t seem right. I felt like I had too much yarn in the ring and then that the ring wasn’t “thick” enough for me to stitch my other stitches around. The advantages of the magic ring is that you are able to pull the yarn so you end up with a closed circle in the center, as opposed to the open one you get if you crochet a short chain (about 6 chains) and then join it with a slip stitch. Which is perfect if you are crocheting in the round and/or making amigurumi – the Japanese art of making small yarn creatures. I thought, is a small hole in my hexagon worth this headache. No it’s not. So, I decided to ditch the magic ring and went the chain and slip stitch route instead and found a better pattern for the hexagons and am about a third of the way done crocheting them. I still have to get the yarn for the other two colors. I want a certain shade of red and green to go along with the silvery gray I got and of course since its right after the holidays the colors are out of stock at my local craft stores. Well, they did have some but, they all weren’t the same lot numbers and I already learned my lesson about lot numbers! Quick story, I knitted a blanket for a friend’s baby and one of the yarns wasn’t the same lot number as the other ones. So, when I finished the blanket that one section of the blanket stood out from the rest. That’s when I went and checked the labels and saw that one of the labels had a different number from the rest although was the same color, hence, me learning the hard way about lot numbers. Thankfully she loved the blanket and didn’t notice the difference until I pointed it out to her. That was my first big knitting project actually! So, maybe I will master the Magic Ring one day, just like those FDPC’s, but, for now, I am happy with my simple method of a chain and a slip stitch to start my crocheting in the round. Besides, I don’t think my hexagons are looking all that bad with the small hole in the middle.